Despite the lack of interest amongst people of the younger generation, the market for stamps and postal history remains remarkably buoyant with many stamps fetching better prices than ever before. 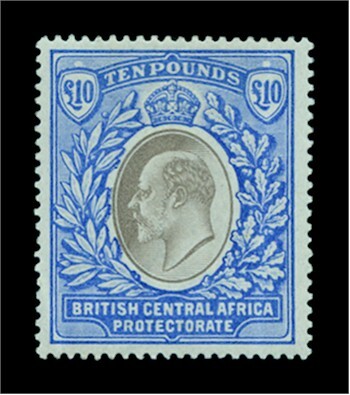 The philatelic market is particulary strong for items from Great Britain, the British Empire and the Far East. 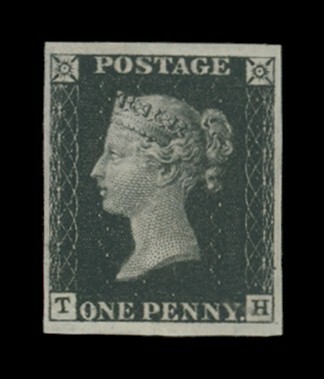 A 1d black stamp, unused, Great Britain 1840. Whether you have an old school collection or a bundle of old covers and cards, it is always worth getting them checked out as many items that use to be of low value have greatly increased and this applies especially the stamps from China and India, where the home markets are fast emerging. A £10 mint Nyasaland King Edward VIII stamp. Prices achieved for stamps in our collector's sales match those of London auction houses and with the sales being on the Internet, the details reach collectors and dealers from around the world.